A spa weekend with your partner, a wellness day with an overnight stay at a hotel in Bruges… At Hotel Navarra you can take a dip in the heated pool, wind down in the sauna, work out at the gym and relax on our loungers. To find out more, read more about our hotel’s wellness facilities here. 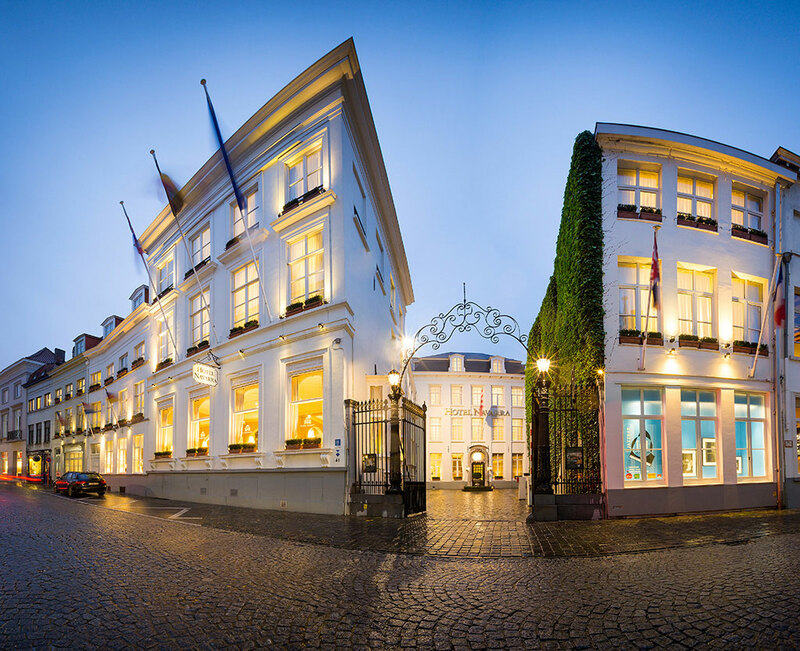 It will be quite difficult to find another hotel in Bruges with a swimming pool in such a unique setting as Hotel Navarra. 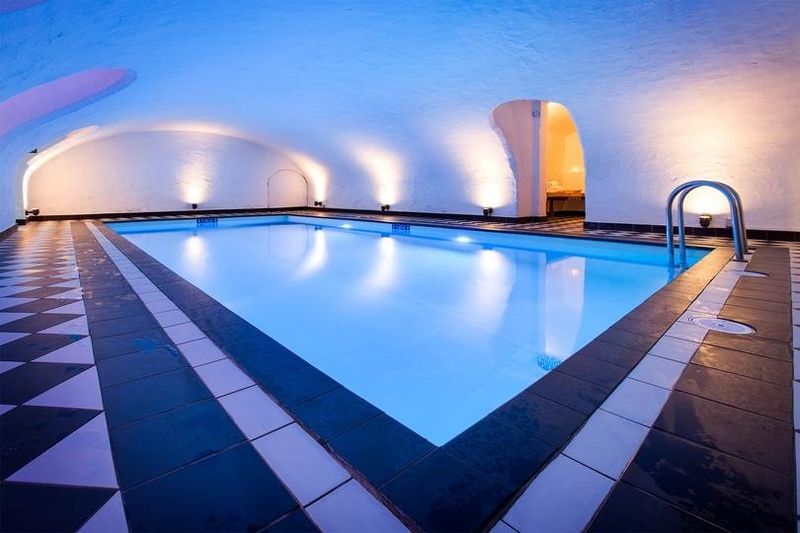 The magnificent indoor pool is located in the building’s former wine cellars next to the other wellness facilities. The pool water is heated to a pleasant 28°C, so come in… the water is fine. The changing mood colours in the water create a fascinating atmosphere in and around the pool. Your wellness day will make your overnight stay, spa weekend or business trip at Hotel Navarra a pleasant experience. A nice hot sauna does you really good…. 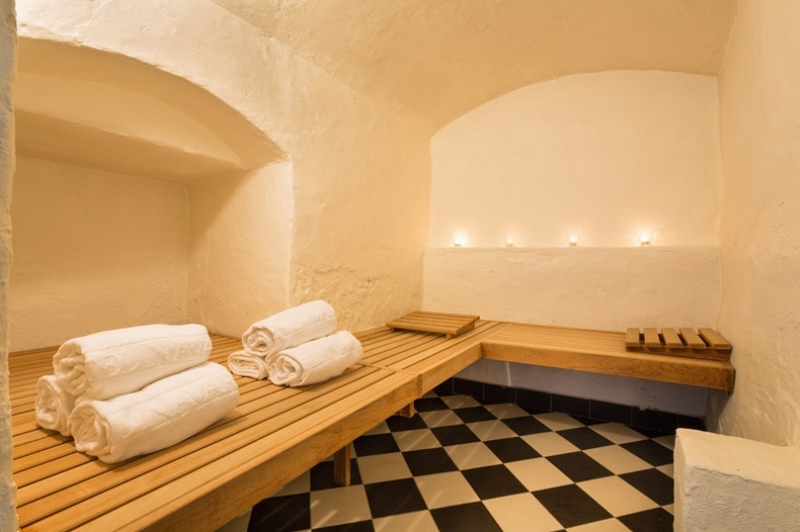 Our sauna is one of the most popular wellness facilities. Simply let the reception know about half an hour in advance that you would like to use the sauna, and we will make sure it is ready for you. 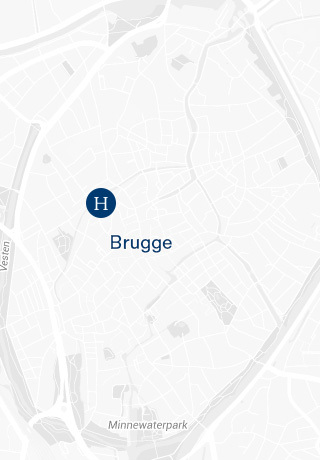 Out of respect to all our hotel guests and cultures, swimwear is mandatory at the sauna and swimming pool to ensure everyone can enjoy a relaxing sauna during their stay at Hotel Navarra Bruges. There is no need to interrupt your personal fitness regime during your break or business trip: you can work out at Hotel Navarra’s professional gym. Enjoy the energy your body releases during a brisk workout with our ultramodern gym equipment. 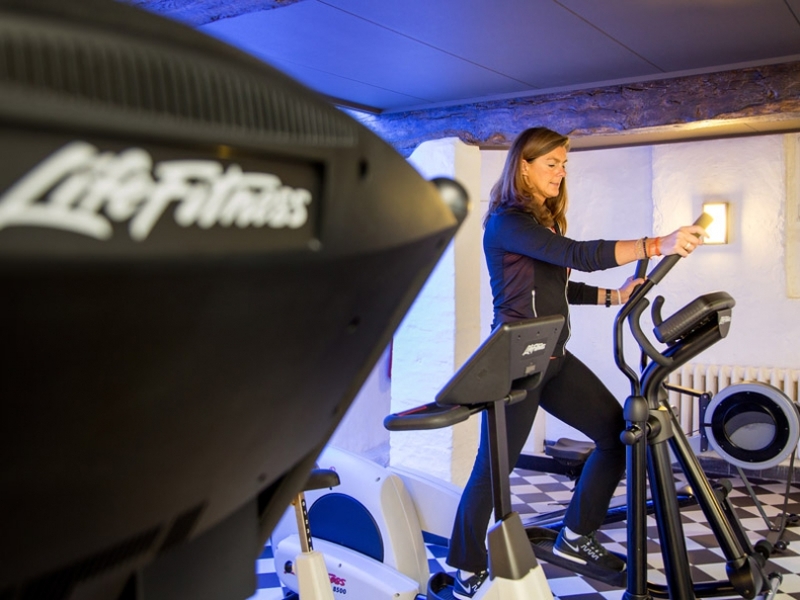 Use the bicycle, cross trainer, treadmill, rowing machine, abdominal trainer and weights trainer for your arms and legs at our wellness centre gym. The television will make the time pass a little more quickly and the water fountain will provide you with a refreshing glass of water during and after your workout. And at the end of your session, you can visit our other wellness facilities for a well-deserved rest. As a hotel guest, you can use our wonderful wellness facilities free of charge from 6am to 11pm every day. You can drop by right before breakfast or after a busy day filled with meetings or shopping or you can spend the entire day at the wellness centre to recharge your batteries. The gym, sauna and pool area has showers, toilets and separate changing rooms for men and women. There is no need to take a towel, as they are provided at the wellness centre. Comfort and cleanliness are absolute priorities at Hotel Navarra, so the facilities are cleaned several times a day.